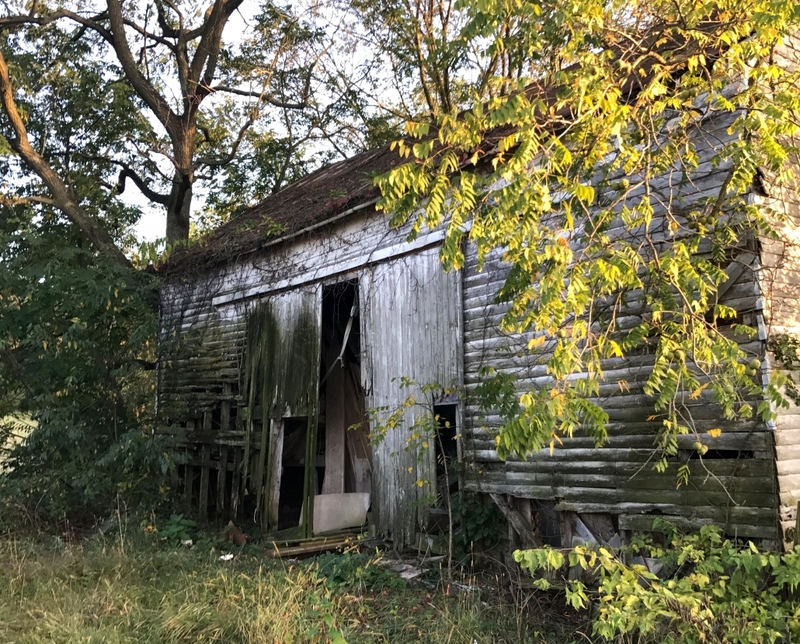 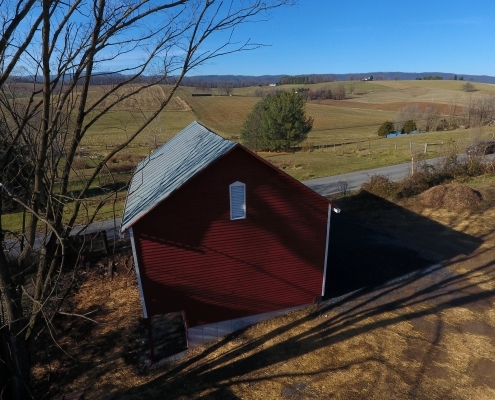 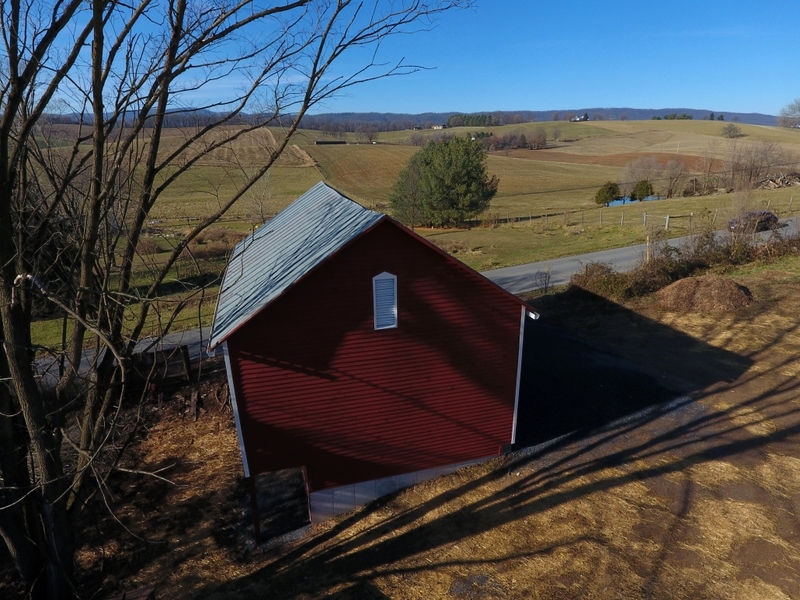 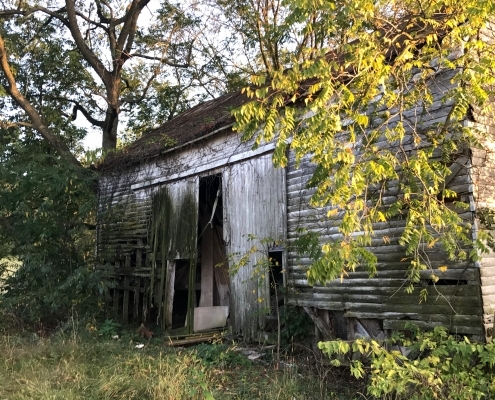 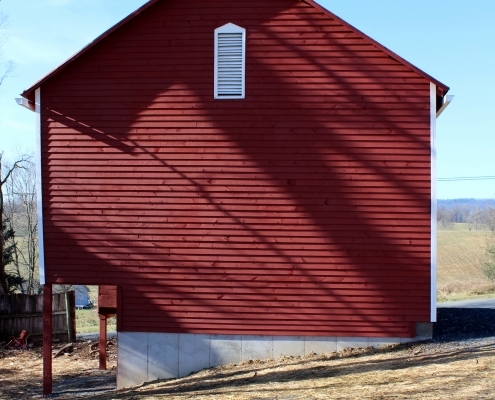 When we started this project, it was an old, battered barn overgrown with trees and brush. 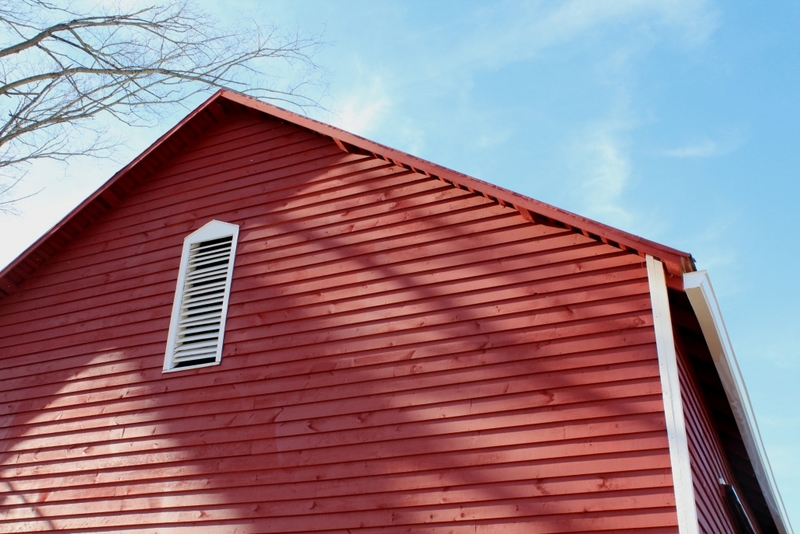 During the process of restoring it, we reestablished the structural soundness of the building, repaired areas to prevent continued damage, and renewed its traditional character and design. 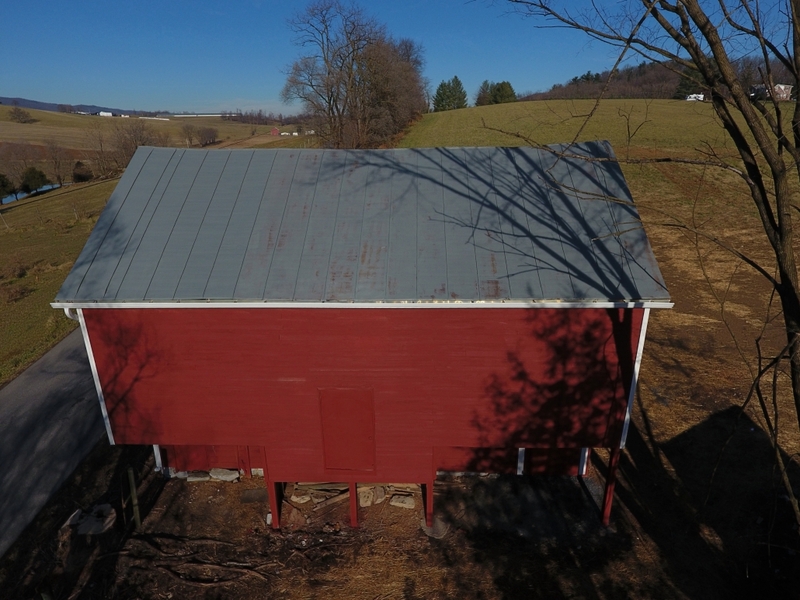 Structurally, we completely replaced the foundation on the left side, added braces to correct a bow, replaced rotten areas, and repaired other parts of the foundation. 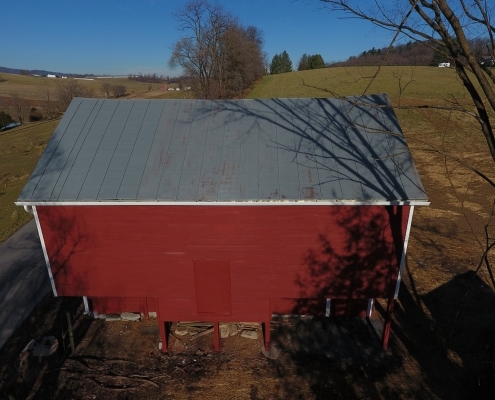 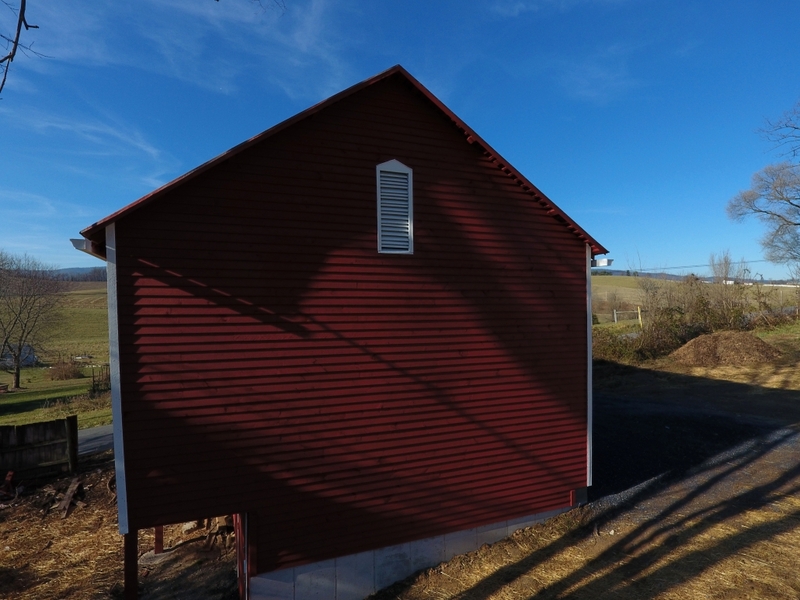 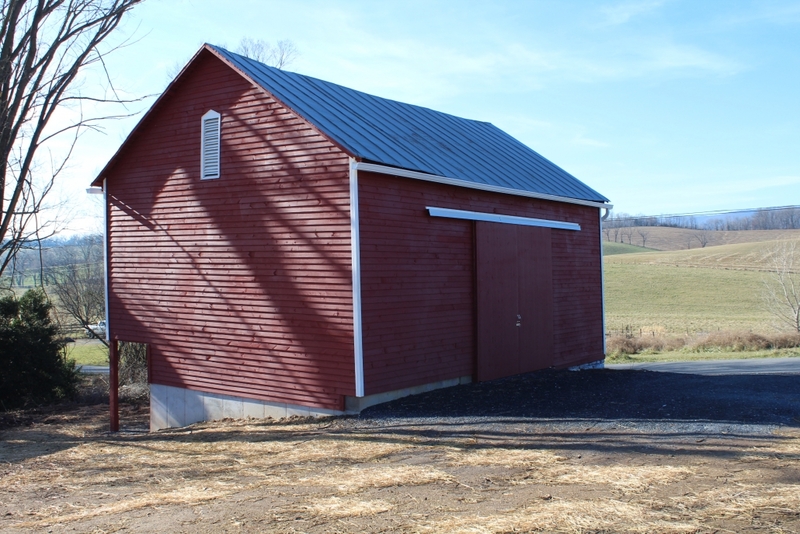 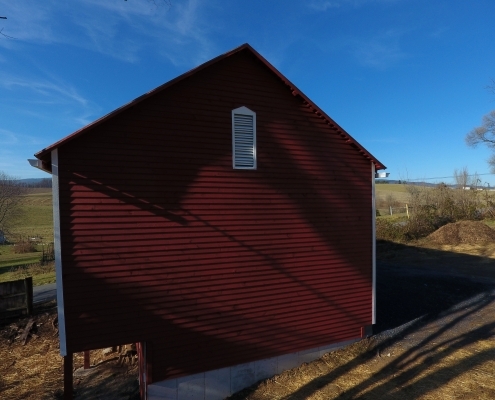 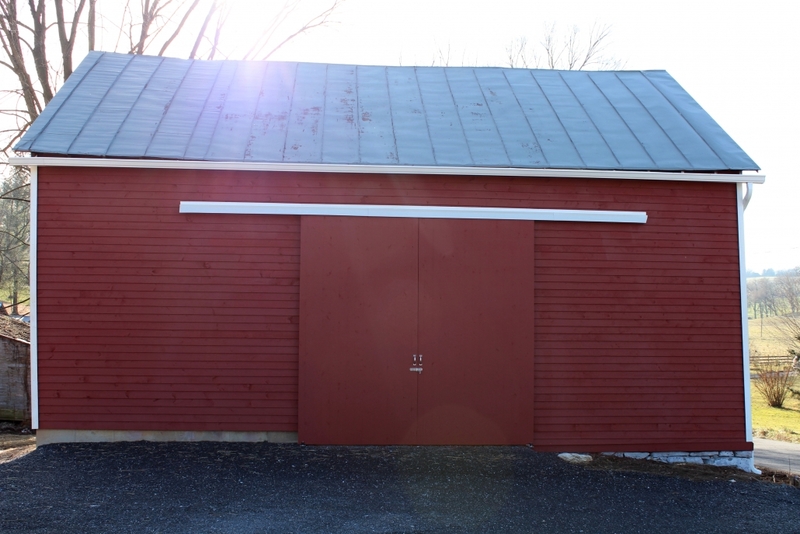 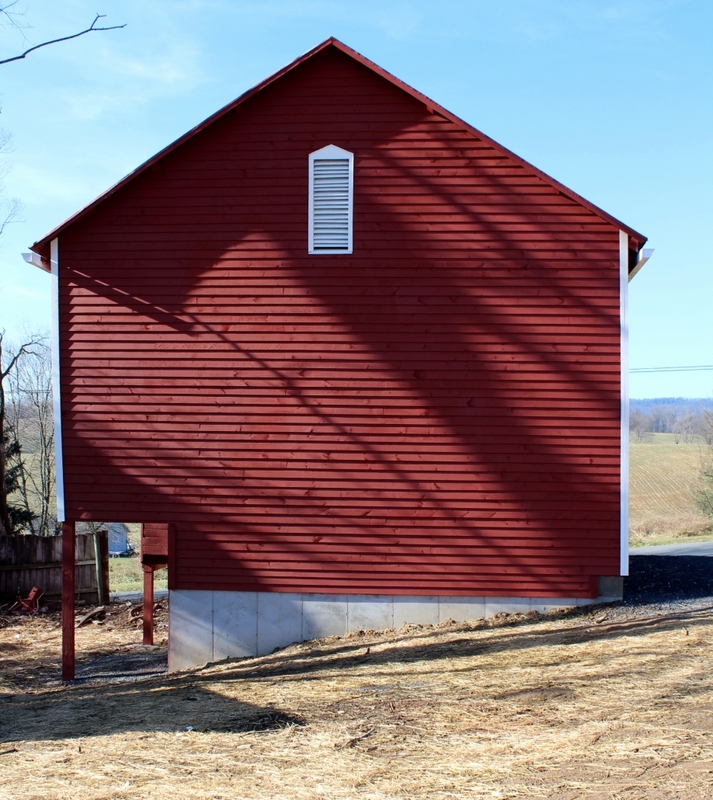 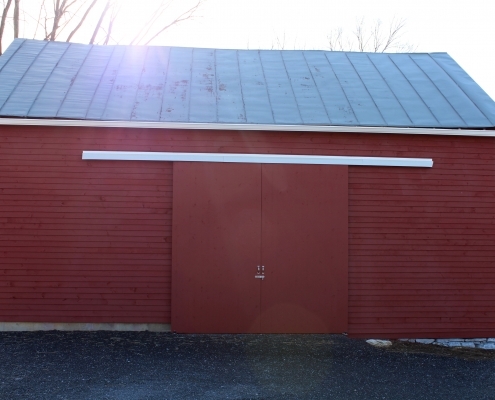 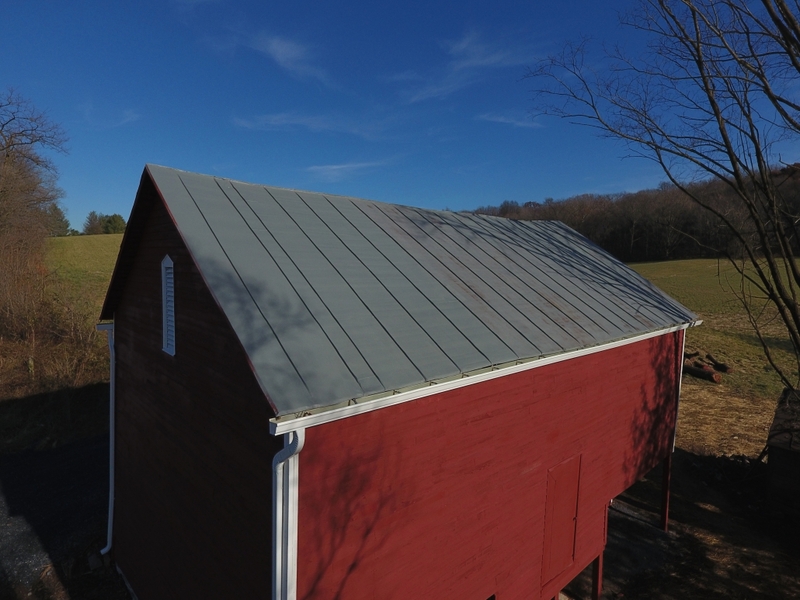 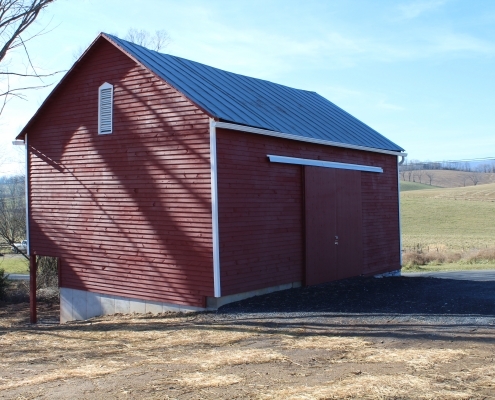 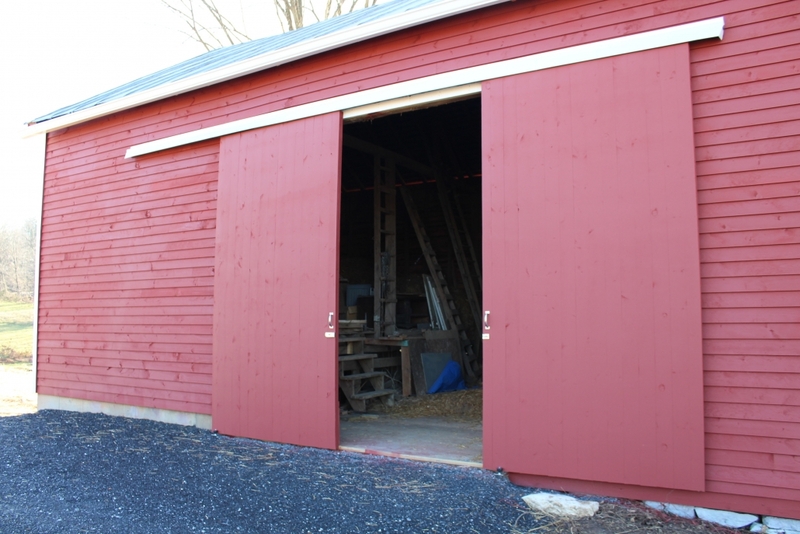 We installed new siding on two sides of the barn and replaced the siding as needed on the rest of the exterior. 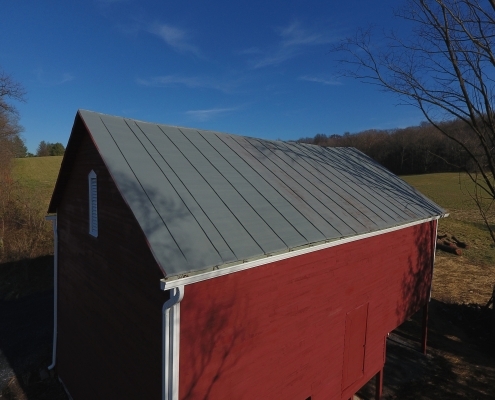 We did some light repairs on the roof to correct leaks, added gutters and downspouts, and fixed the floor inside. 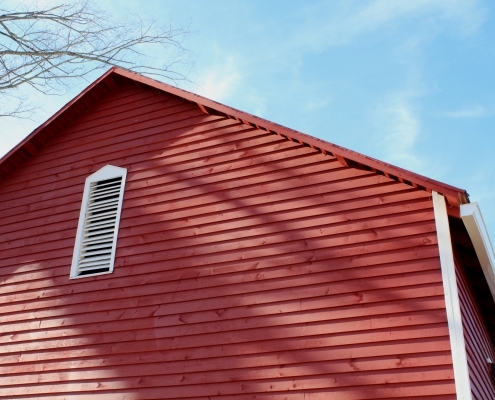 Both the roof and siding received a fresh coat of paint. 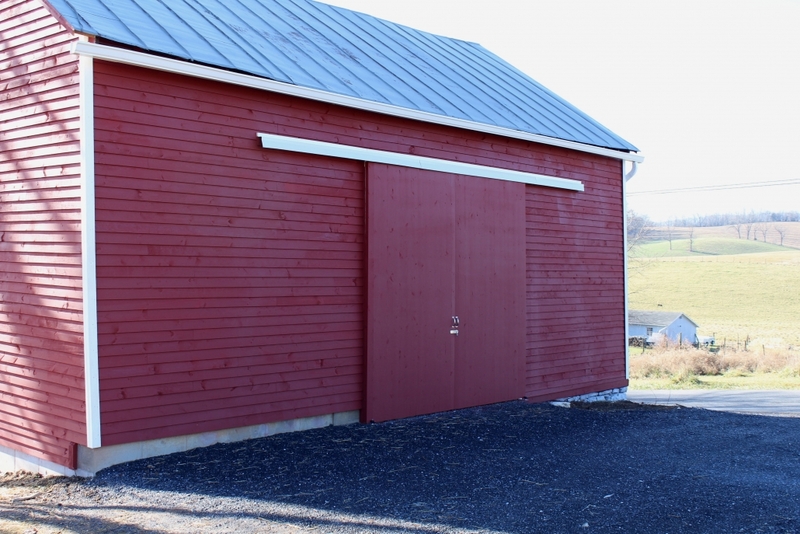 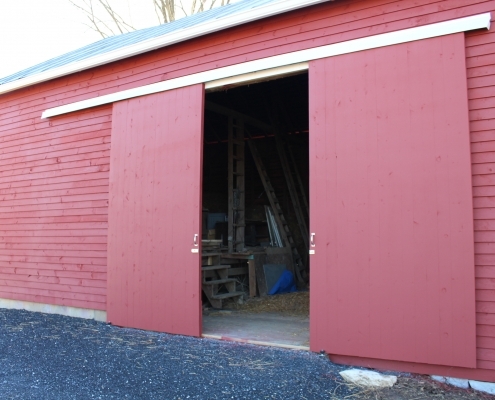 Along with the new gravel area out front, the new sliding barn doors create easy access and an appealing entrance in keeping with a traditional barn style.